What better way to greet spring than with a gloriously colorful new mani? To that tune, we've scrolled through some of our favorite nail artists on Instagram and have selected a few spring-appropriate nail art ideas, from butterflies flying across negative space to pastel-hued abstractions. 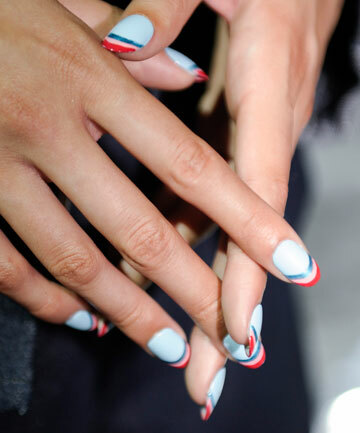 Keep reading for some truly gorgeous manicure inspo.